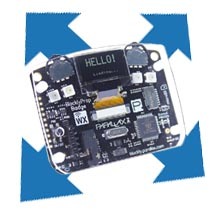 The Badge WX combines programming and human interaction for education and events. Users can customize their badge to show names, communicate via infrared, play sounds or games, and display lights in their own theme. 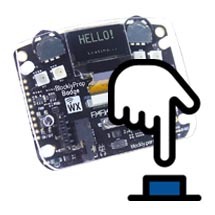 The Badge WX is wirelessly programmable using BlocklyProp, a free visual programming tool. This series has been divided into two sections (described below) to guide you linearly through the tutorials whether you're in the classroom, or DIY-learning at home. 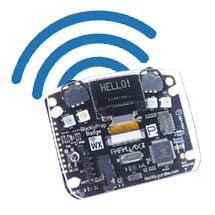 We strongly recommend you follow these tutorials in order unless you're an experienced programmer who is familiar with both BlocklyProp and the Badge WX. Prerequisite(s) - Completing these introductory tutorials is highly recommended before you proceed with the main lesson(s). These tutorials are designed to teach the foundational skills you will rely on as you progress through the tutorial series. Main Lesson(s) - This tutorial, or sequence of tutorials, takes you through some of the basics of your Badge. 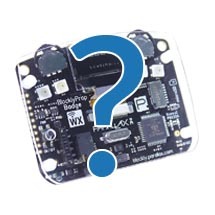 Learn about some of the features of your Badge WX and start programming!